Create a Cheerful American Flag Welcome! Hello, America! Let your Stars and Stripes fly free. After all, it’s your birthday tomorrow! I found a treasure of an American flag at an estate sale recently. It is pre-1960’s (before Alaska and Hawaii were added to the union) so it only has 48 stars. It is woven linen and hand-stitched – I love its character, patina and history. I thought I would make a welcoming hallway vignette to celebrate the holiday and display the flag! 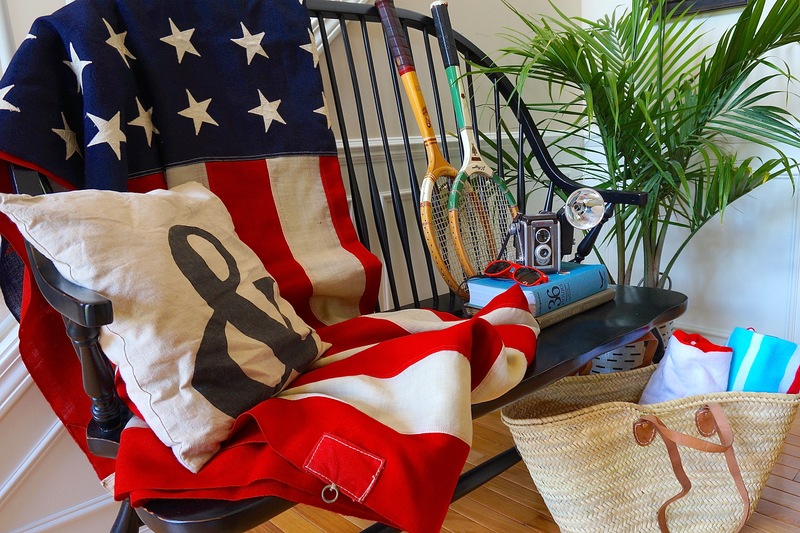 The flag takes center stage as a backdrop for my other Americana treasures. An old camera , sunglasses, and a guide book can be picked up on the way out the door for summertime adventures. Tennis rackets stand ready and beach towels in a French market basket are packed for fun at the beach! My faux olive basket from Walmart (more to come on those! ), with a fresh new fern and fun ampersand pillow, finish the look atop the most American piece of furniture – a black Windsor bench. 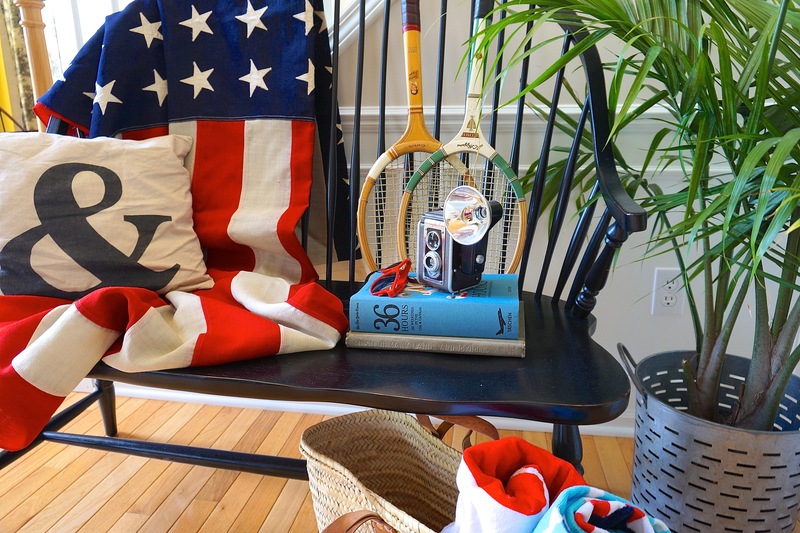 Are you decorating for July 4? I’d love to hear/see what you’ve done.